Indian Property as an Investment…WHY??? Namrata tells you..! CLICK to know why investment in India is the safest & best investment option for now; & of course be spoilt for choice with a huge range of developers from India; from every city; catering to your needs & budgets..! 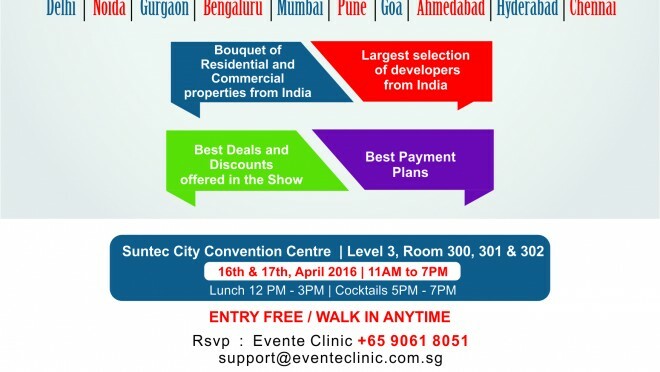 April 16th & 17th 2016 @ Suntec- Property Fair by Eventeclinic! Cocktails, Lunch, free walk in anytime..! Eventeclinic Property Fair:Click to know- the properties you can invest in..! Cocktails, Lunch, Free entry, Anytime walk-in & platter of properties to choose from in India..! A property fair doesn't get better than this Singapore!!! Every customer is valued, given personal attention & guidance & the icing on the cake is you get to network & buy your dream home...make that ultimate investment you have been thinking about..! Be there guys on April 16th-17th 2016 @ Suntec! Come Singapore..! Best of investment opportunities for NRIs with compelling Products from all over India is coming back !! 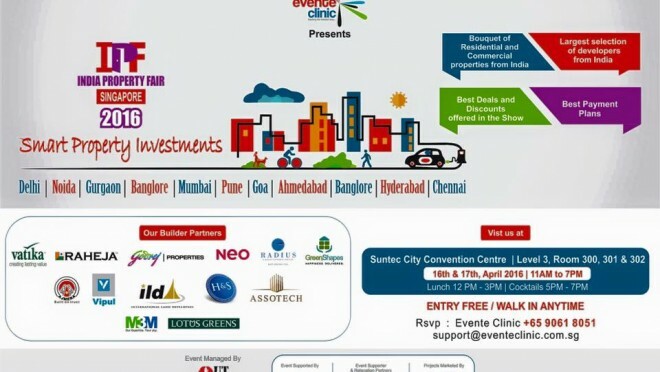 The Indian Property Fair bought to you by Evente Clinic on 16th and 17th Apr'16 at Suntec Hall 300-302 Namrata Pande- Srivastava tells you what Eventeclinic does for you & also a glimpse into a vital aspect of 'commercial property' See you There ! !